Orginially from Poland, sommelier Marek Przyborek has travelled the world, winning national competitions wherever he goes. Settled in New Zealand as Head Sommelier at Huami, he is now preparing to take on the challenge of ASI Best Sommelier of Asia and Oceania. He reveals what led him to leave his homeland and the best kiwi wines to watch. What inspired you to leave Poland become a sommelier and work in countries such as the UK and New Zealand? When I heard the word "sommelier" for the first time I didn’t really know what the profession was. In my family we didn’t really drink wine. My application to law school was rejected by just a few points so my decision to start my wine education with a sommelier class in Warsaw was rather practical at the time. But very quickly I fell in love. I met genuine people who inspired me to learn more and taste more. Poland at that time was just starting to drink wine and the sommelier community was really only a handful of people. Over the years I learnt that one of the biggest forces to push me forward are challenges. First – already working in some of the best restaurants in Warsaw – I graduated in Human Capital Management at Warsaw School of Economics. After that I moved to Lancashire in North West England to work in Northcote (a restaurant that has held a Michelin Star for over twenty years and has one of the best sommelier teams in the UK). At that stage of my career I needed a proper, formal wine education. After three wonderful years, WSET Level 3 Award in Wines and Court of Master Sommeliers Advanced Certificate, I left for another adventure and ended up in Auckland. At the world’s end! Why New Zealand? I wanted to learn about wine in a different way, live and work in a winemaking country, and perhaps change my opinion about Sauvignon Blanc! It’s wonderful to touch the soils, see grapes growing and talk to winemakers. Transferring my knowledge into better understanding. Training the palate in a specific way, using a tasting grid under time pressure and theory help a lot when you take part in sommelier competitions. Having completed WSET Level 3 Award in Wines, how does your formal education help you in your role as a sommelier and when competing in competitions? Formal wine education in my opinion is one of the keys to success as a sommelier. 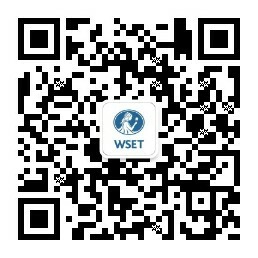 WSET qualifications provide solid knowledge. I really appreciate the Systematic Approach to Wine Tasting – especially when it comes to blind tasting. Training the palate in a specific way, using a tasting grid under time pressure and theory help a lot when you take part in sommelier competitions. The WSET approach is also great when it comes to purchasing and valuating wines for your list. Taking WSET exams also prepares you for dealing with the stress – both on the restaurant floor and in competitions. When curating the wine list for Huami, what are the most important factors that you consider to provide the perfect offer for your guests? Huami’s wine list carries quite a particular vision – to showcase New Zealand wines. With my experience from Europe I love to put local wines in the context of the Old World classics. Central Otago Pinot Noir side by side with Burgundy for example. Such a big wine list always shows depth of styles and regions. Bringing some gems like library editions is the fun part of it. And after that it comes to matching the sommelier’s ideas with the various dishes of Chinese cuisine. It’s crucial to understand the needs of your guests (which quite often requires thinking outside of the box) and provide them with the best possible dining experience. New Zealand Sauvignon Blanc has become very popular globally. What other New Zealand wines would you recommend the world watch out for and why? Pinot Noir is an absolute Kiwi classic! I really like the variety of styles of Pinot Gris. In New Zealand you can find traditional method sparkling, light and dry examples quite similar to Italian Pinot Grigio, richer styles made in an Alsatian way… Albariño also performs very well here with plenty of character. You won Polish Best Sommelier in 2017 and New Zealand Sommelier of the Year in 2018. Are there any other competitions that you would like to conquer or countries you would like to work in? Currently it’s the ASI Best Sommelier of Asia and Oceania in Kyoto (15th-18th of October). One of the biggest competitions I have had the opportunity to compete in over the last few years. In terms of new countries to work in? I can’t really think of any in particular, but I am always open for new challenges and adventures! Follow Marek Przyborek on Twitter here and see his sommelier profile (in polish) here. Interested in becoming a sommelier? Read our guide to see if you got what it takes here.